BMW has a new Z4 roadster out soon, and there’s one thing it definitely does not have: possibly the coolest doors ever put into production, which were on the BMW Z1. Those doors dropped down and disappeared into the car’s body. More impressively (for an old BMW particularly) they also went back up. Here’s how they worked. I should really post the whole video at some point, because it’s amazing. 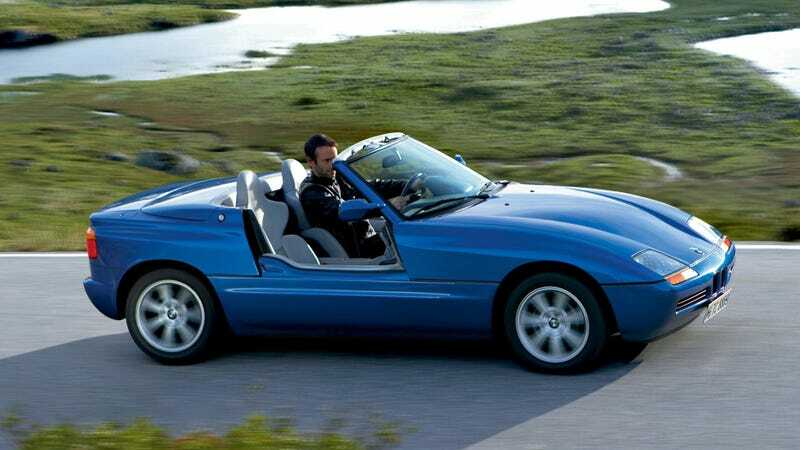 BMW’s first modern roadster ran from 1988 to 1991, and sadly it was never imported to the U.S. Powered by a 2.5-liter straight six, it managed to be several pounds heavier than the vastly more successful Z3 roadster that followed it a few years later. It wasn’t great to drive, by many accounts, but it has cult status today for those doors. 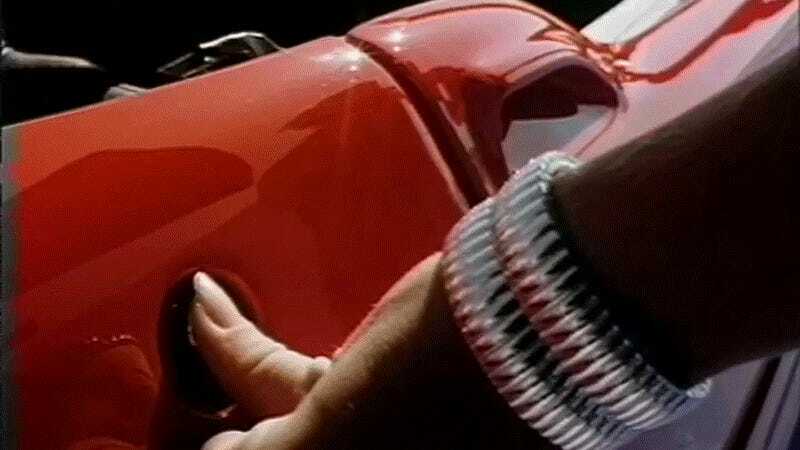 Now, I say possibly these doors were possibly the coolest ever put into production because I should not forget the sparkling and joyous Kaiser Darrin, which electrically slid its doors forward into its long front fenders along aluminum rails. These doors often jammed early on until Kaiser switched to nylon roller bushings, but still offered only a small opening and had to be kept super clean or else the rails would get stuck up and the doors wouldn’t work, as Ate Up With Motor notes in its great history of that 1950s oddball. It’s a bit easier to see in the first video, but there’s a pulley on the side of the door that rolls everything up or down. This has to be kept in tension to work smoothly, as was shown when Wheeler Dealers took one of these Z1s apart. Conveniently, the Z1 has a very devoted fan base, which keeps instructions online on how these cars work and how they can be maintained. There are full repair instructions here and an even more detailed how to guide here. A shaft behind the door button pulls a rod, Door motor and window motor are engaged, door and window opens together. The rod releases the mechanical catch of the door, the catch activates the 1st step of the microswitch, instructing the door control unit “door is released”. The second stage of the microswitch gives the ‘motor-on’ command to the door control unit, to start the motor (alternate up and down after initial setting). The motor moves the belt and the door moves. The window lifter is controlled by the door control unit. Except when opened manually, as the window motion is controlled by the manual movement of the door, incases such as flat battery, it is possible to open door and window by hand. When the button is pressed, the door motor lifts the door until it is closed (locked in the catch) and then the window motor engages to close the window. The Z1 Wiki (Ziki) goes on to explain that though the doors are controlled electronically, it is a mechanical system so it can be opened and closed manually, though it takes a lot of force to get it down. It’s not too bad getting it up, but latching it closed does require a lot of effort. “MIND YOUR BACK! !” the page notes, perhaps saying something about the typical Z1 buyer’s age. These were expensive cars, more than a 7 Series when new. I don’t see how this thing wasn’t the most successful BMW ever!